You’ve been driving the same car for two decades, then somebody hands you the keys to a 2014 version of the same model. The brand-new car has automatic controls you’ve never seen before, a stiffer ride that takes the curves tighter, and a larger interior that’s more comfortable, but still takes some getting used to. That’s what it’s like in the new Alvin. “It’s the same, but different,” said veteran Alvin pilot Bruce Strickrott. 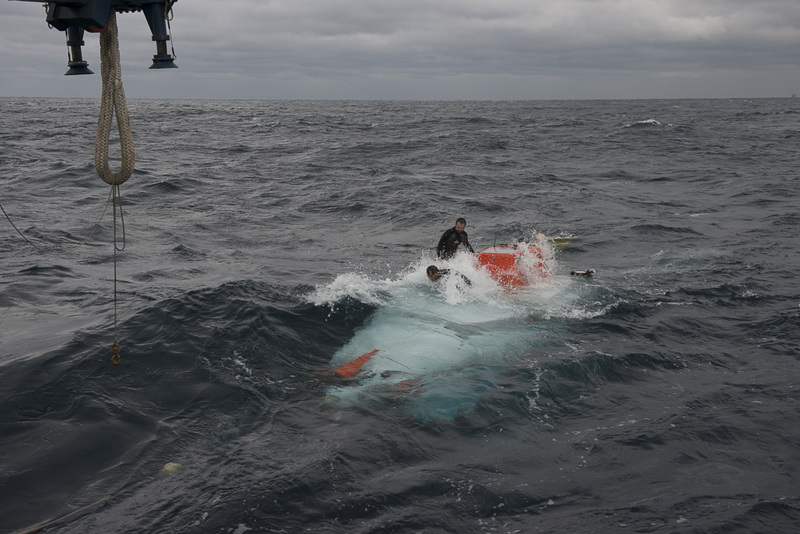 On this expedition, scientists and pilots have been handed the keys to what is effectively a new sub, and they’ve wasted no time getting a feel for how it works under actual field conditions. Strickrott spent three years on the team that helped design and build the new sub, but even he hadn’t had a chance to put it through its paces in the depths until yesterday. He had high praise for the two additional viewports on either side of the pilot’s, which until now had been the only forward-looking viewport in the personnel sphere. Among other advantages, these expanded his field-of-view as he used the sub’s manipulator arms to deploy instruments and collect samples. 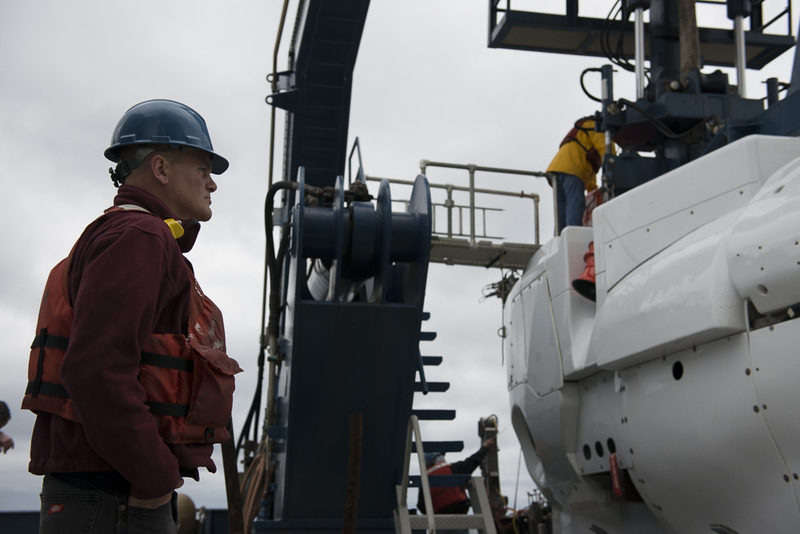 He also loved the new digital variable ballast control system that allows him to quickly dial in commands to set and maintain neutral buoyancy so that the sub will hang at a desired depth, something he had to do manually in the past. Assessing the sub’s ride, he added, “It goes fast forward, but the sub moves differently in all directions.” That may be because the new sub weighs 45,000 pounds—5,000 more than before. Despite the additional weight, the sub also is significantly more buoyant, increasing its capacity to carry payload to the bottom and samples to the surface. As pilots get a better feel for the vehicle, said Strickrott, they and engineers can explore options to improve the sub’s weight and balance to get the most out of every dive. The new sample basket on Alvin‘s front is sturdier and larger than the old one, though the extra space is taken up by machinery for the sub at the moment. Engineers will certainly explore ways to open up that space for science payload. 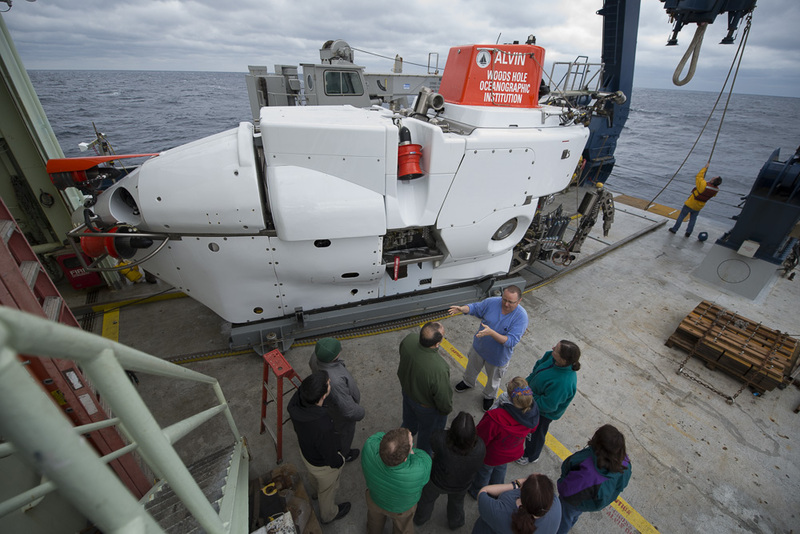 Also in the sub’s personnel sphere yesterday was Chris German, chief scientist for the National Deep Submergence Facility, which operates Alvin and other deep-sea vehicles for the scientific community. 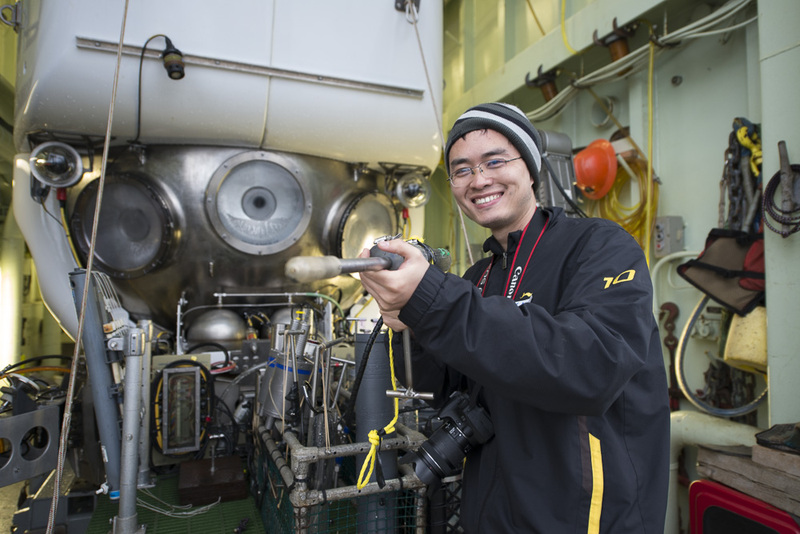 He conducted a series of tests on the sub’s high-definition cameras and LED lighting, searching for ways to get the best images possible. During his dive, he found an adjustment for the lights that will prevent the shadows that were apparent on Alvin‘s first test dive two days ago. 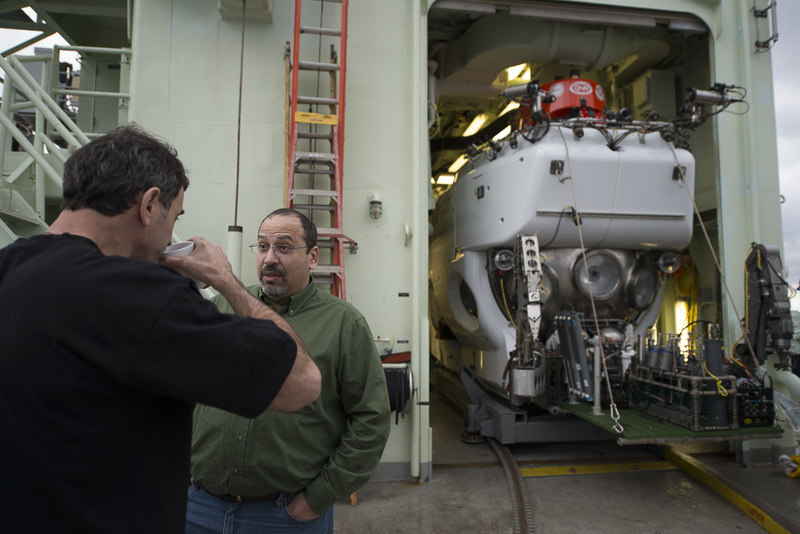 Scientists and engineers on the cruise are also learning how data are collected and stored (some out-of-the-box glitches have already been fixed); how the navigation system works (thumbs up); and how instruments on Alvin‘s basket interface with computers inside the sphere (one system is up and working with additional troubleshooting under way). So far, everyone who has ridden in Alvin is also getting a feel for its upgraded interior, assessing the position of camera monitors in the sphere and discussing whether they should be repositioned to make viewing easier, in much the same way you’d adjust the mirrors on your new car. Scientists are also experimenting with new, previously unavailable body positions on the low benches in the sphere. “There are definitely more options on where you can put your legs,” said Harvard University scientist Peter Girguis, the expedition’s chief scientist. Finding the right seat for the pilots, however, remains an ongoing experiment, even though the new seat is better than the one in the old Alvin, which resembled a milk crate. “It was primitive,” Strickrott said. At least he can stand up inside the new sphere, so long as he stands directly in the middle. One seemingly good idea—an all-purpose shelf inside the sphere—immediately proved in need of revision. 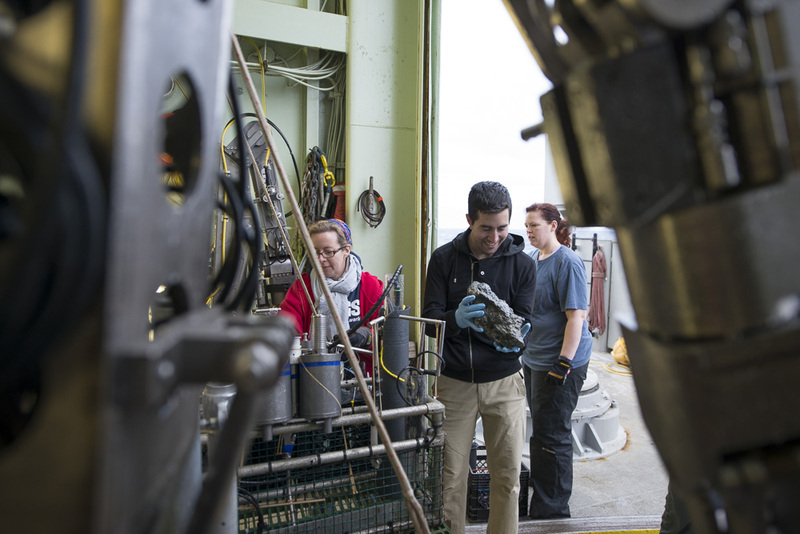 When Alvin surfaced in rough seas on its first dive Saturday, items in the shelf fell to the floor. That will be rectified. Great to read Bruce Strickrott’s commentary. I’ve really enjoyed seeing all these posts, videos and pictures. Thank you for sharing your experience with us! (I’m a seventh grade teacher in Lexington, MA who was privileged to dive in Alvin in 2007). Hey Ben! These rocks are looking more barren than those juicy HR carbonates, but we did see a scale worm and a bunch of peanut worms. Diving at a slightly more active site today, so we’ll see! All images copyright Woods Hole Oceanographic Institution. 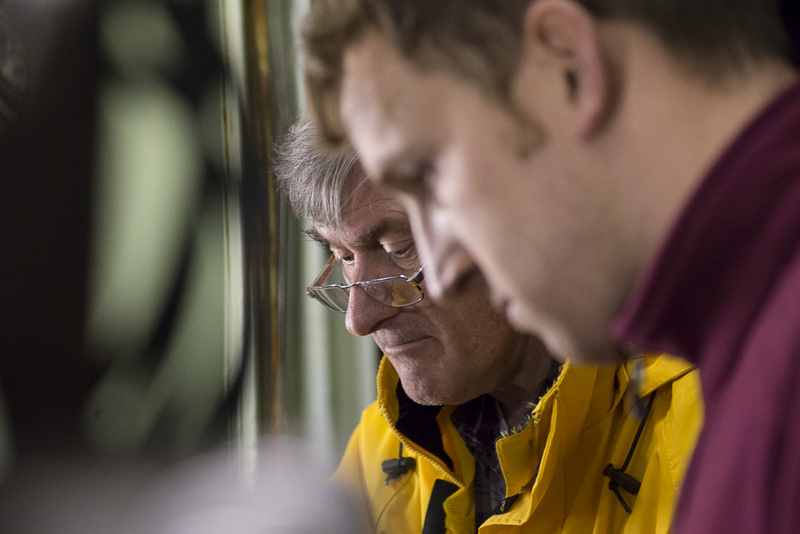 For permission to use photos and videos on this site, contact media@whoi.edu.